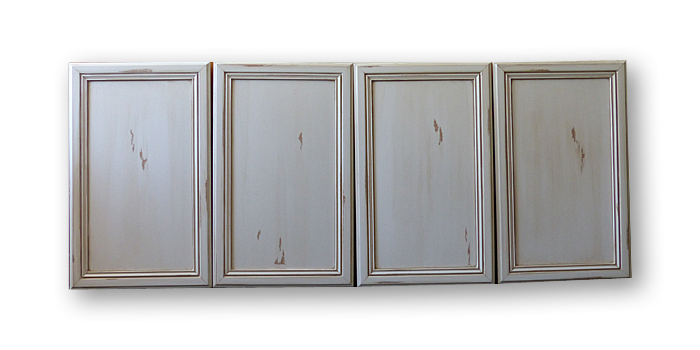 I finished creating an aged distressed look on the cabinet doors. 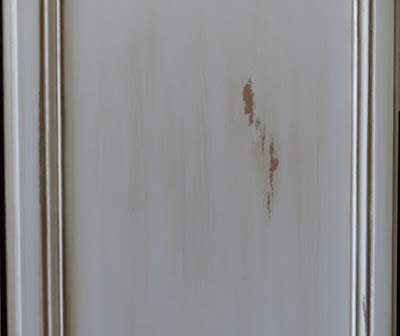 The first thing I did with the doors was to paint them a white color. 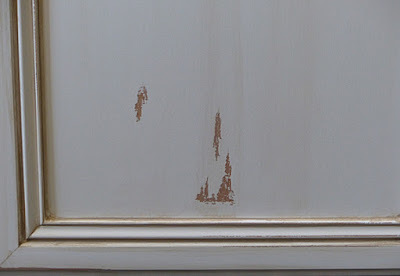 Once that dried I distressed them by scraping back the paint in various strategic locations around the doors. 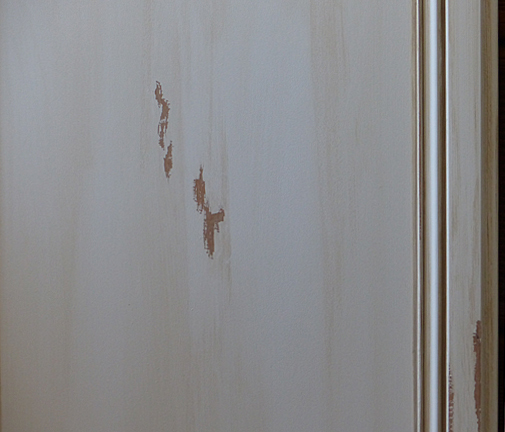 After that was accomplished I then mixed up some chalk paint and applied an aged glazing over the doors. Here is the result. There are only four doors on this cabinet so the first photo shows all of them together. 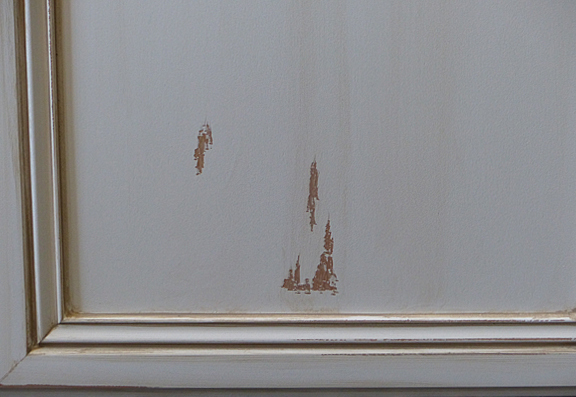 Then I have a few photos showing some closer views of the distressing work. 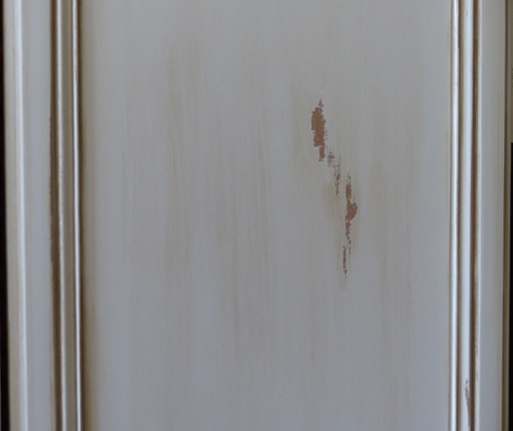 The next photo is one of the doors after I painted it white but before I created the aged distressed look. 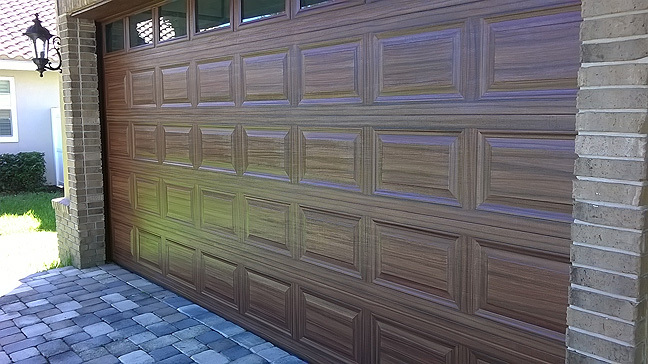 This last photo shows how the original doors looked when I started working on them. Lindsey, Yes I give them two coats of clear sealer called Varathane Floor Finish with Aluminum Oxide. It is waterborne product and therefore never yellows. Because it is for hardwood floors I use 2 coats and that seems like it holds up really well. I have using this product for over 20 years on cabinets. The only thing about this product for homeowners is it only comes in gallons. 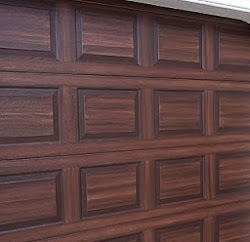 Varathane does make a similar product they sell in quarts called, Varathane No Odor Polyurethane Heavy Use Formula. Again you want the waterbased one not the oil based. The waterbased will not yellow but the oil will over time. Excellent product. Here is the HOme Depot link http://www.homedepot.com/p/Varathane-1-qt-Clear-Satin-Water-Based-Indoor-Polyurethane-Case-of-2-200241H/202057137 and you can also get it on Amazon. It makes a huge difference in the look and feel of the cabinets and gives you much better performance over any paint by itself.